Honesty, I find myself posing this as a question more often than a statement. Why is it that I constantly endure this mild form of torture, day after day? But when the well-known Wellington wind subsides, and the water looks like glass, going for a paddle with the sun set as a backdrop is just absolutely incredible. Not to mention the feeling of crossing the finish line after a tough race (which is every race), breathless, fatigued and just completely and utterly exhausted but knowing that you and your crew have given 110% and that you are in fact alive and finished the race in one piece. 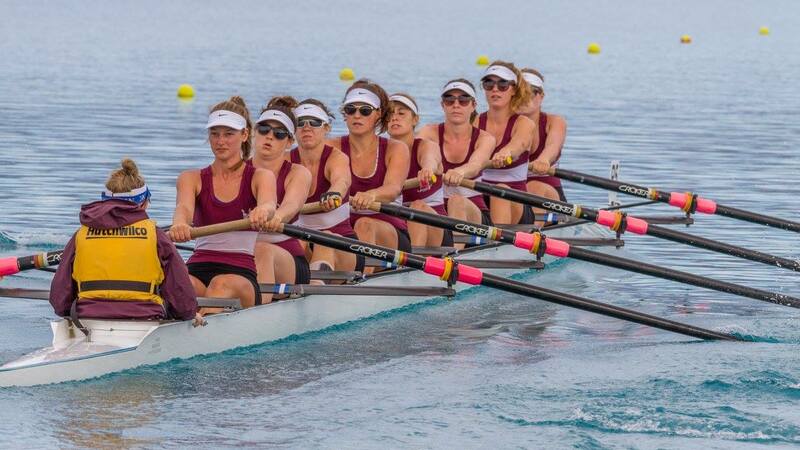 Other than the rowing itself, a large part of why I enjoy it so much is down to the fun and crazy Wellington Rowing Club Crew who made the whole season that much more enjoyable. You create a unique bond with your crew when you spend successive days in a boat with sleep deprived, exhausted teammates. I have grown up playing many different sports at many different levels, but by a long shot rowing has been the most physically and mentally challenging of them all. It has also been the most rewarding. I know this sounds a little cheesy but it has been one of those experiences where you learn a lot about yourself, and what you are capable of if you commit and focus. For the meantime however I am taking a short break from the intensive training and focusing on my netball and studies. But I will be back for another season. I just can’t seem to stay away. It’s become more of a lifestyle than a hobby.